Home ⁄ Posts tagged "Brian St. Pierre"
1. Is a Calorie Really Just a Calorie? - Brian St. Pierre tackled this hot topic in the nutrition world and (unsurprisingly) it generated a lot of buzz. 2. Should You Even Stretch? - Dean Somerset always comes through with great content on the corrective exercise side of things. 3. 5 Tips for Improved Client Relationships - Brett Velon was one of the best interns we've ever had, and it had a lot to do with his amazing ability to build rapport with clients so quickly. He shares some of his tips here. 4. Are You Training Mobility or Just Mobilizing? 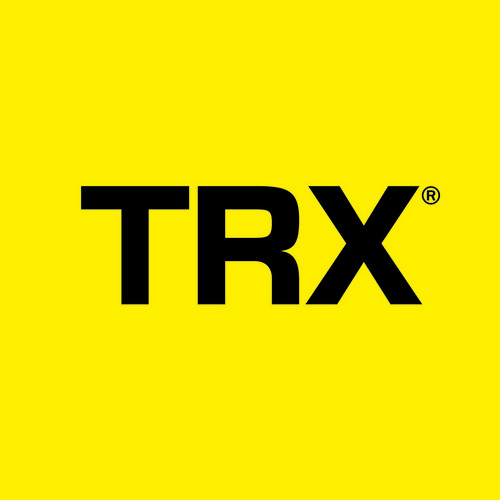 - Frank Duffy takes a closer look at ways to improve your mobility training. 5. When Precision Tops Effort - John O'Neil discusses the importance of knowing that not all exercises need to be treated like PR deadlifts. I'll be back soon with the top strength and conditioning features from 2017. Why a Pro Approach Will Fail When Coaching the Youth Athlete - Former Cressey Sports Performance intern John Dusel wrote this great post for Nancy Newell's site. 4 Steps to Deeper Learning - My good friend Mike Robertson wrote this up with up-and-coming strength and conditioning coaches in mind, but the lessons really apply to any industry. Does Diet Soda Cause Strokes and Dementia? - As always, the crew at Examine.com cut through the noise and give you the low down on recently published research. The Truth About Kids and Resistance Training - I received a question the other day about whether resistance training was appropriate for kids, and I quickly "referred out"...to myself! I wrote this article up eight years ago and it's still right on target. The San Antonio Spurs, Made with 100 Percent Juice - This is a nice shoutout to Brian St. Pierre for his nutrition work with the Spurs. Want a White Collar To-Do List? Start With Some Blue Collar Work - My business partner, Pete Dupuis, shares some insights on the entrepreneurial side of fitness. I guess this struck a chord with some people. BSP: "Sleep deprivation for a single night will lead to a reduction in calorie output by 5-20% the subsequent day." BSP: Estimates of caloric expenditure can be off by 10-30%. BSP: "How your metabolism reacts to changes in energy balance will be unique to you." BSP: "The benefits of eating actual fatty fish appear to outweigh the benefits of taking fish oil alone." BSP: "Soybean oil accounts for 75% of oils consumed in the US. That's insane." BSP: "Just because something is organic doesn't mean it's good for you." BSP: Don’t go crazy w/Vitamin D intake. 1,000-2,000 IU seems best for most folks during non-summer months. When in doubt, get levels tested. BSP: interesting new research on neuroprotective benefits of creatine supplementation. May have implications for depression and concussions. BSP: benefit of coffee on Alzheimer's, Parkinson's & cancer risk/symptoms has a large genetic component. Benefits not conferred for all. BSP: "I'm not a fan of cleanses, in general, because your body already has organs that serve that function." BSP: Excess body fat is #1 driver of inflammation in body. 50-60% of body fat in obese individuals is made up of inflammatory immune cells. BSP on starting up nutrition guidance: Don't overwhelm new clients w/documentation in the beginning and don't try to fix everything at once. BSP: coaching is about helping clients further THEIR agenda, not yours. BSP: "Remember that all behaviors are attempts to solve problems." BSP: "Calories do matter, but counting calories and even macros is not the right solution for most." You can learn more about Brian and the great work the folks at Precision Nutrition are doing HERE. We're very excited to announce that on Sunday, April 9, we’ll be hosting the CSP-FL Spring Nutrition Seminar featuring a day of learning with Brian St. Pierre. This event will take place at our Jupiter, FL location. Brian was CSP’s first employee in Massachusetts and has since moved on to be the Director of Performance Nutrition at Precision Nutrition. PS - If you're looking for hotel information, both the Comfort Inn and Fairfield Inn in Jupiter offer our clients a discounted nightly rate. Just mention "Cressey" during the booking process in order to secure the discount. How Brain Signaling Drives What You Eat - In this excellent Precision Nutrition article, Brian St. Pierre discusses some of the factors governing why individuals may overeat. 8 Lessons from My First 600 Pound Deadlift - After a lot of hard work and patience, CSP coach Tony Bonvechio finally got his first 600-pound pull. Here are the lessons he learned along the way. Fitness Tourism - Thinking of opening a gym? Before you do, be sure to get out and visit a few successful gyms first, writes my business partner, Pete Dupuis. 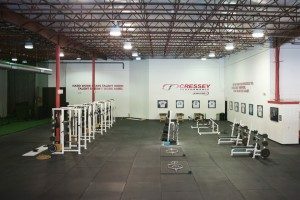 Cressey Sports Performance Fall Seminar Registration - Just a friendly reminder that this Thursday, August 25, is the early-bird registration deadline for the 5th Annual CSP Fall Seminar at our Massachusetts location. Hope to see you there!